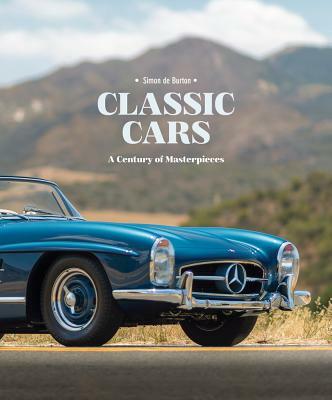 - A ride through the most coveted cars of the twentieth century, offering sumptuous color photography and stunning close ups - Every featured vehicle has risen significantly in price over the past five to ten years "These are the cars that most collectors would want to own for their looks, character, performance and driving enjoyment. They all broke the mold." - Simon de Burton Simon de Burton journeys through some of the most coveted cars of the twentieth century. From the Alfa Romeo 6C to the Porsche 996 GT3, the author has chosen cars from each decade from the 1930s to the early 2000s, his choices made from the perspective of the enthusiast and collector. All are considered 'milestone' cars and all have risen substantially in value in the past five to ten years. They are not all necessarily the fastest, rarest or most valuable cars, but they are all highly significant and highly regarded. These are the cars that should have been bought when they were new and kept for the future - now that they are truly desired. Features cars from across the varied spans of time, price and purpose, including: Lancia Lambda, Austin Seven, Volkswagen Beetle, Jaguar C-Type, Citroen DS19, Ford Mustang, DeLorean DMC 12, McLaren F1.